Professor Steven Bender is a national academic leader on immigration law and policy, as well as an expert in real estate law. Among his honors, the Minority Groups Section of the Association of American Law Schools presented him with the C. Clyde Ferguson, Jr., Award, a prestigious national award recognizing scholarly reputation, mentoring of junior faculty, and teaching excellence. His research interests coincide with his classroom teaching, which encompasses subjects as diverse as Business Associations, Property, Real Estate Transactions, UCC Secured Transactions, Contracts, Externship Seminars, and Latina/os and the Law. Associate Dean Bender is an elected member of the American Law Institute, the American College of Real Estate Lawyers, and the American College of Mortgage Attorneys. During 2009-2011, Bender served as co-president of the national Society of American Law Teachers (SALT). He also served as the co-chair and is a longtime board member of LatCrit (Latina and Latino Critical Legal Theory Inc). Veronica Fynn Bruey is an award-winning scholar with an extensive interdisciplinary educational background in science, arts, public health and law from across four continents. A global researcher, Fynn Bruey has conducted studies, taught, consulted on projects and spoken at international conferences in over 20 countries. She has published two books, two children’s books, several book chapters and peer-review journal articles. She is the founder and editor-in-chief of the Journal of Internal Displacement, the only scholastic platform dedicated to the plight of displaced peoples, globally. Since 2011, as the Director of Flowers School of Public Health and Health Sciences, Fynn Bruey designs and teaches a variety of courses in global health and professional development. In 2014, Fynn Bruey was appointed a senior researcher of the Centre for Policy in Liberia, the only policy think-tank in Liberia. She recently created a Law and Society’s Collaborative Research Network called “Displaced Peoples”, which comprises over 26 international academic experts. Currently, she teaches public international law and Law, Social Justice and Ethics as an adjunct professor at the Seattle University School of Law. Fynn Bruey is a born and bred Liberian war survivor. Anthea joined the UTS Faculty of Law in 2016. She holds a BA and LLB (Hons) from the University of Sydney, an LLM (Research, Dean’s Honors) from McGill and was awarded her PhD in Law as a Quentin Bryce Doctoral Scholar from the University of Technology Sydney and the University of British Columbia (jointly enrolled). 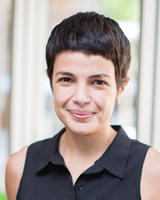 Her research takes a critical, interdisciplinary approach to the regulation of migrants and non-citizens, with a particular focus on the social and legal categories of the refugee and irregular migrant. Her areas of expertise are migration and refugee law, administrative law and legal theory. For the last four years, she has worked between Australia and Canada on qualitative research into refugee narratives and the oral hearing within onshore refugee status determination processes in both countries. Anthea has published in local and international journals and worked as a research associate on nationally and internationally funded competitive research grants. She is admitted as a solicitor of the Supreme Court of NSW. Prior to joining the Faculty, she practised in family law, and in refugee and migrant advocacy in Australian community legal centres and in Canada. 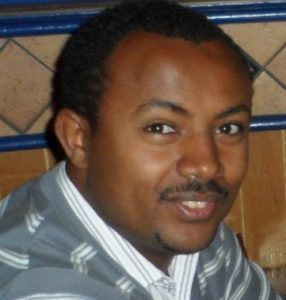 Dr. Solomon Tekle Abegaz is currently an Assistant Professor of law at the School of Law of University of Gondar in Ethiopia, and lectures on part-time at the College of Law and Governance Studies, Addis Ababa University, in the same country. He formerly served as legal counsel at Ethiopian Airlines Group, and taught law again on a part-time basis at Rift-Valley University in Ethiopia. He has published articles and commentaries including in the area of children’s and women’s rights. His research area is international human rights and international air law. Safiya Ahmad Nuhu is a law lecturer from the Department of International Law and Jurisprudence, Bayero University, Kano, Nigeria. She is presently a PhD student at the University of the Witwatersrand South Africa, where she is conducting research on the regional framework for the protection and assistance of internally displaced persons in Africa. She has worked as an intern at the Brookings Institution, specifically on the Brookings-LSE Project on Internal Displacement. She was an associate editor (Africa), of the Journal of Internal Displacement (JID). She has research interests in Human Rights protection of vulnerable classes of persons particularly women and IDPs. Other research interests include International Humanitarian Law, and Migration Law. She is Mandela Washington Fellow (MWF), as well as a member, Professionals in Humanitarian Assistance and Protection (PHAP). Professor Megan Ballard joined the faculty at Gonzaga University School of Law in 2004. She taught as an Associate Professor at Washburn University from 2000 to 2004. Prior to law teaching, Ballard served as a law clerk for Justice Shirley Abrahamson of the Wisconsin Supreme Court, a pro bono attorney in Cambodia, and practiced law at the firms of Perkins Coie, in Seattle, Washington and Foley & Lardner in Madison, Wisconsin. Ballard earned her J.D., LL.M. (Law and Globalization), as well as an M.A. in Ibero-American Studies from the University of Wisconsin-Madison. Much of Ballard’s research has focused on measures to protect the rights of people forcibly evicted from their homes and land by armed conflict. Her Fulbright grant to Georgia, and Gonzaga University grant to Colombia allowed her to concentrate on property restitution measures undertaken in both countries. 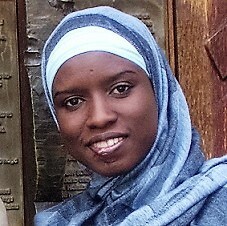 Her current research explores the resettlement of refugees in the United States. Ballard’s public service work has involved creating a curriculum and coordinating workshops to teach refugees and immigrants about the U.S. legal system. She also has provided pro bono representation for asylum applicants. Professor Rebecca Hamlin research is focused on law and immigration politics. She is interested in how administrative agencies and courts adjudicate migration and citizenship questions, and the political responses to judicial involvement in migration matters. She has a particular interest in migrant categorization and the concept of a refugee. 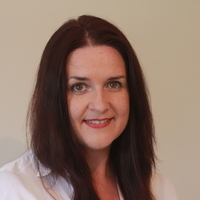 Dr Niamh Kinchin is a lecturer at the School of Law, University of Wollongong, Australia. Niamh teaches Constitutional and Administrative Law and her primary research interests are in global accountability and administrative justice, global administrative law and public law within the Australian context. In 2014 she completed a PhD at the University of New South Wales, which was titled ‘Accountability in the Global Space: Plurality, Complexity and UNHCR’. Her current research focuses upon the meaning and application of administrative justice within the context of the United Nations. Professor Ruffer is the founding Director of the Center for Forced Migration Studies housed at the Buffett Institute for Global Studies. Her work centers on refugee and asylum rights and protection, rule of law and the process of international justice. She has published on testimony and justice in the DR Congo, asylum law and policy, human rights litigation in transnational courts and immigrant incorporation and integration in Europe. Her books include Adjudicating Refugee and Asylum Status: The Role of Witness, Expertise, and Testimony (co-edited with Benjamin Lawrance), Cambridge University Press (2015) and Prosecution, Persecution, Protection: Doing Justice for Sexual Violence (forthcoming). 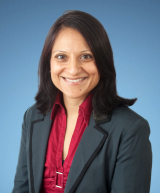 Aside from her academic work, she has worked as an immigration attorney representing political asylum claimants both as a solo-practitioner and as a pro-bono attorney. 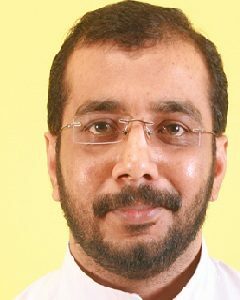 Dr. Norvy Paul completed his masters from the University of Pune and joined De Paul School of Social Work as an academician in since 2004. His current research work is focused on displacement in India with particular interest on social and cultural capital, marginalisation, human rights and community development. He has authored and edited three books on development induced displacement; published several articles in various national and international journals and presented papers at various forums related to social work and displacement. From 2015-2017, he was an editor of De Paul Journal of Scientific Research, a bi-annual scholarly publication that promotes academic research for the purpose of moulding better science practitioners. At present, Dr Paul is pursuing Post-Doctoral Studies at Christ University in Bangalore, conducting research on development induced displacement and marginalisation in Kerala. He mentors and supervises MPhil and PhD students. Saša Rajšić is a visual artist whose practice explores diaspora as a space of possibility in which the hybridity of identity creates an opportunity to see and understand things from multiple viewpoints. His work, therefore, considers the everyday as a space of possibility, in which memory and history collide and create interesting and often paradoxical situations. 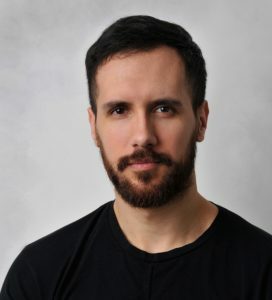 He is a co-founder of Kolektiva, an artistic network of young Yugoslav-Canadian artists exploring diasporic existence. Rajšić’s work has been showcased at exhibitions and festivals in Canada, USA, UK, Sweden, Finland, Italy, Germany, and Serbia. Kinnari is a post-doctoral researcher at Erasmus School of Law, Erasmus University Rotterdam on a project entitled ‘Integrating Normative and Functional Approaches to the Rule of Law and Human Rights’ and is a Visiting Fellow at the Transnational Law Institute, King’s College London. Prior to completing her PhD, she worked as an English qualified solicitor (LLB Law with French (Birmingham), M.Sc., PhD) gaining several years of experience in the project financing of and legal and regulatory reform for natural resource development projects. Kinnari worked at White and Case LLP and Milbank Tweed, Hadley & McCloy LLP and served as legal advisor to the Ministry of Mineral Resources in Sierra Leone in a World Bank/DFID funded mining environmental, health and social regulatory drafting project. She also worked as civil society advisor on the Guinean Mining Code for the Natural Resource Governance Institute. Her research interests lie in transnational and comparative law, financing, human rights, land rights, resettlement and legal/regulatory reform. She is interested in mapping contractual areas of overlap and tension for public interests in private law contracts and model agreements and in researching innovative contractual remedies for private and traditional land and property rights under conditions of increasing land encroachment and resettlement. 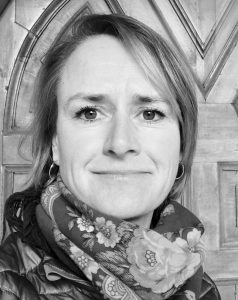 Research interests: private financing, human rights, land rights, resettlement and legal/regulatory reform, transnational and comparative approaches to law. Dr. Chien-yu Liu, a jurist, is a champion of social justice. Dr. Liu specializes in legal and policy implications of forced migration, shelter, and humanitarian development nexus and helps organizations identify legal and policy gaps and propose entry points moving forward. Dr. Liu has a combined experience in the media, non-profits, and international organizations. Academically, Dr. Liu obtained the S.J.D. (Doctor of Juridical Science) from Georgetown University Law Center and the certificate in Refugees and Humanitarian Emergencies from the Institute for the Study of International Migration (ISIM) of Georgetown University. 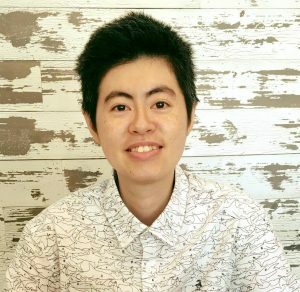 Besides internal displacement, disaster displacement, and refugee studies, Dr. Liu’s research interests include the intersections of litigation, transgender equality, and social vulnerability issues. Anna Lundberg is Professor of Welfare Law at Linköping University and Associate Professor in Human Rights. Lundberg’s research has appeared in, among others, Human Rights in Practice, Refugee Survey Quarterly, International Journal of Law, Policy and the Family, Peace Review, Nordic Journal of Migration Research. 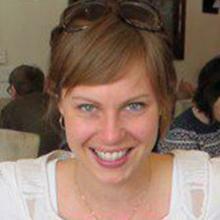 At present, Anna is the PI of a 5-year project titled ‘Undocumented children’s rights claims. A multidisciplinary project on agency and contradictions between different levels of regulations and practice that reveals undocumented children’s human rights’. The project is financed by the Swedish Research Council. She also is the PI in the recently started project “Advanced legal practices in the welfare state. A study of displacements of the right to social assistance for undocumented persons and poor EU citizens, in three Swedish municipalities” funded by the Swedish Research Council for Health, Working life and Welfare.